WHAT IS THE MAIN EVENT FOR ADULTS? 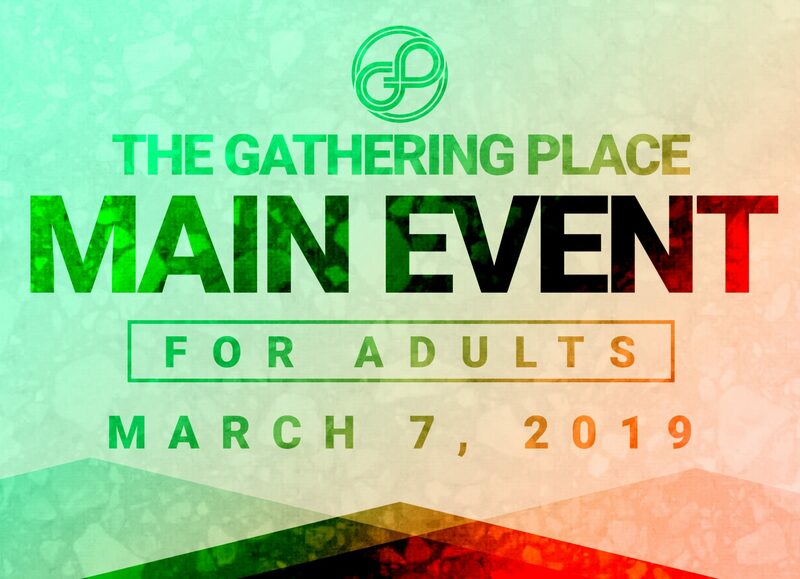 The Main Event For Adults is an inspirational fundraising evening where stories are shared of God at work through The Gathering Place as we invite you to join the mission. This event is always a night to remember! 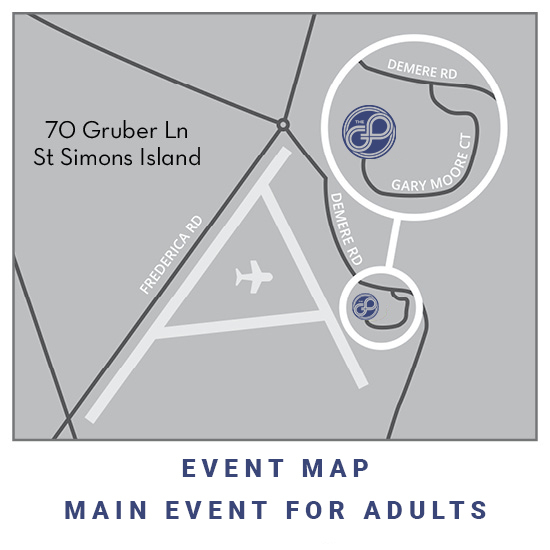 It is an evening where community is gathered and great food is shared; all hosted in a unique setting of Gruber’s hangar at the St. Simons Airport, which makes for an unforgettable night. Our goal is to draw supporters who want to join the GP in seeing local students reached with the Gospel of Jesus, equipped to be effective leaders, and sent to impact their world. Dinner will be served by one of St Simons’ best caterers–Brian Justice of Tasteful Temptations. Come be inspired by live music and testimonies from students and community leaders on how The Gathering Place is impacting lives for eternity! This is a free event and an opportunity to support The Gathering Place will be presented. We are excited to invite Duffy Robbins as our keynote speaker this year. Duffy has been a crowd favorite for many years at our Main Events for students in the summer. Come ready to laugh and learn as he leads the night! Duffy Robbins is one of The Gathering Place’s most beloved summer speakers. He has been a professor in Youth Ministry at both Eastern University and now Grove City College and is a thirty-five year veteran of youth ministry. Duffy speaks around the world to teenagers and people who care about teenagers. His talks are full of humor and passion for youth and their need for Christ. Duffy has his D.Min. in Youth and Family Ministry from Fuller Theological Seminary, and is the author of numerous books including Ministry of Nurture, This Way to Youth Ministry: An Introduction to the Adventure, Speaking to Teenagers (which he co-wrote with Doug Fields), Youth Ministry Nuts and Bolts and Enjoy the Silence (which he co-wrote with a wonderful girl named Maggie Robbins that he married many years ago).